Texas Magician David Hira has delighted audiences with his incredible show filled with excitement, mystery and laughs. David's magic has captivated audiences nationwide. David captures the atmosphere of the traveling illusion and variety shows of the past, but gives the old classics of magic an upbeat, modern and original flavor. David Hira is also a highly sought motivational speaker combining his magic, his natural flair as an entertainer, and his inspirational message. His "sleight of hand" is in demand for hospitality parties, trade shows, and corporate functions. David's light-hearted sense of humor and unique charm creates a distinctive form of magic that is truly memorable! Dallas, Texas based Award winning comedy magic...terrific Master of Ceremonies...Incredible Productions is pleased to recommend and present showman, Bo Gerard! 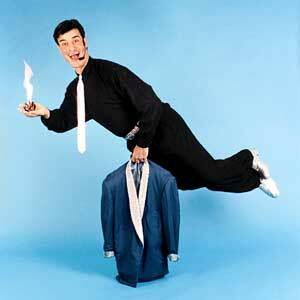 Bo has been performing his special blend of Comedy, Magic and Audience Interaction Routines since 1975. His teambuilding sessions are popular at corporate meetings and parties. He performs over 300 times a year across the United States, appearing at TRADE SHOWS, PARTIES, CORPORATE FUNCTIONS, BUSINESS MEETINGS and every kind of special event imaginable.